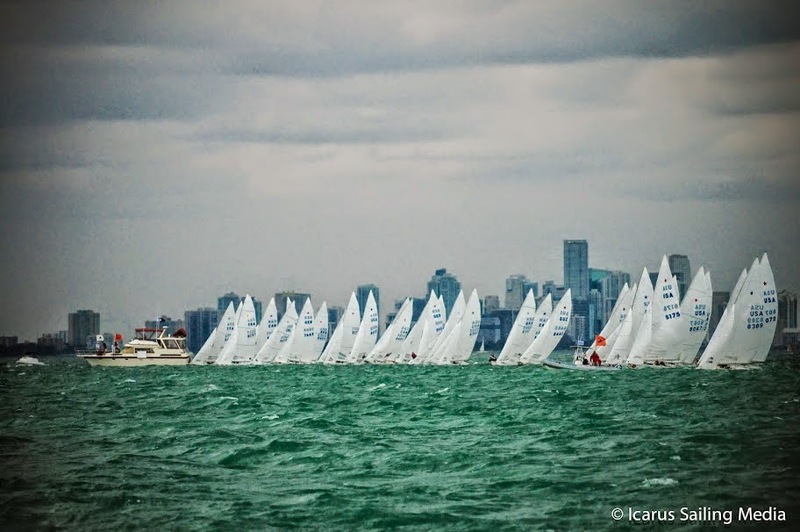 There was no shortage of drama today on Biscayne Bay for competitors racing in the 86th BACARDI Cup. As temperatures hit the high 70s on the third day of racing, the fourth race of the series got underway in 15 knots of breeze, and, with the black flag rule in effect, six boats were disqualified. Wind gusts over 25 knots contributed to 11 boats not finishing the day’s single race, including two with broken masts. Lars Grael and Mario Lagoa (BRA) finished third in the race allowing them to increase the point spread while continuing their hold on first place in the overall standings with 17 points. The Italian team of Diego Negri and Frithjof Kleen finished second in the race and are just nine points out of first. 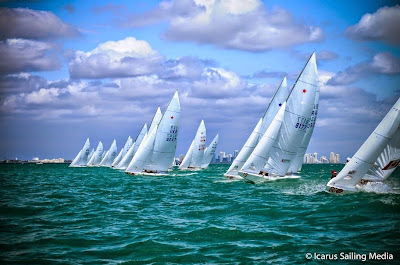 They are followed in the overall standings by 2003 Rolex Yachtsman of the Year Augie Diaz (Miami, Fla.) and Arnis Baltins, who added a 22 to their previous finishes of 3-1-10 for 36 points. Alessandro Pascolato and Henry Boening (BRA) are fourth overall with finishes of 18-8-6-8 for 40 points, and the Canadian team of Brian Cramer and Cam Lymburner round out the top five with 9-7-18-7 for 41 points. 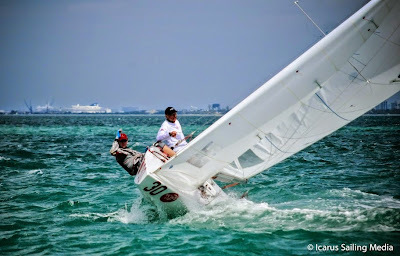 Although Irish Olympian Peter O’Leary and Rodney Hagebols won today’s race, they still carry 36 points earned in race two of the series (once five races have been completed, the scores will reflect each yacht discarding her worst race). 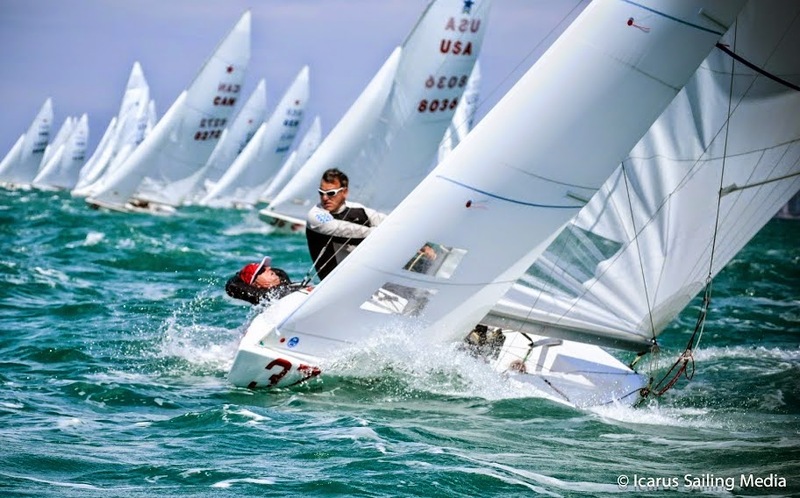 With 50 points, they currently stand eighth overall, seven points behind defending champion Xavier Rohart (FRA). Racing for the Star class resumes on Friday, March 9, after a planned lay day today.